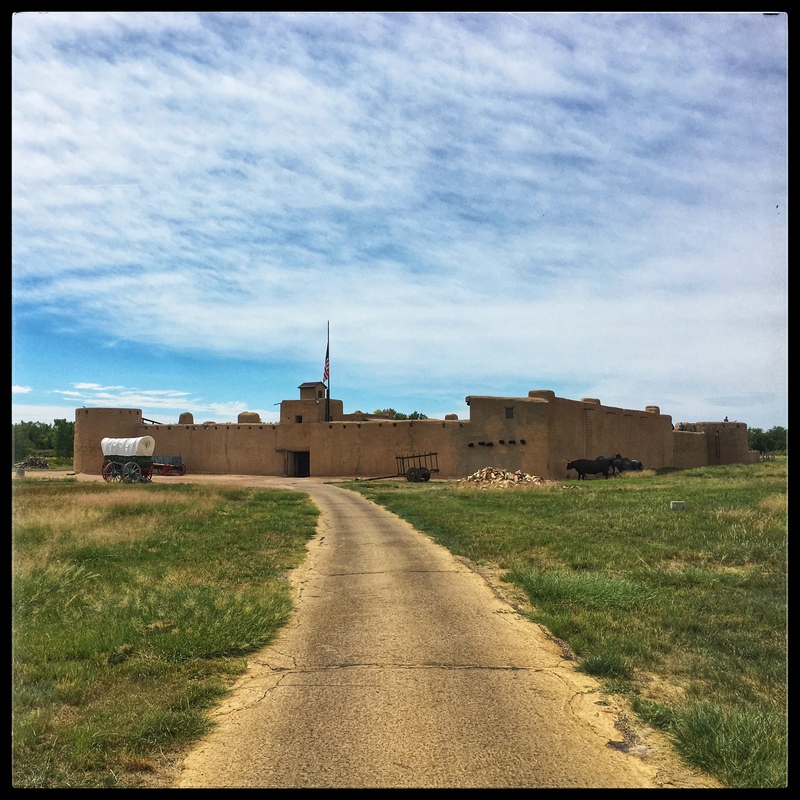 Sally and I took off on Saturday morning and drove to La Junta. 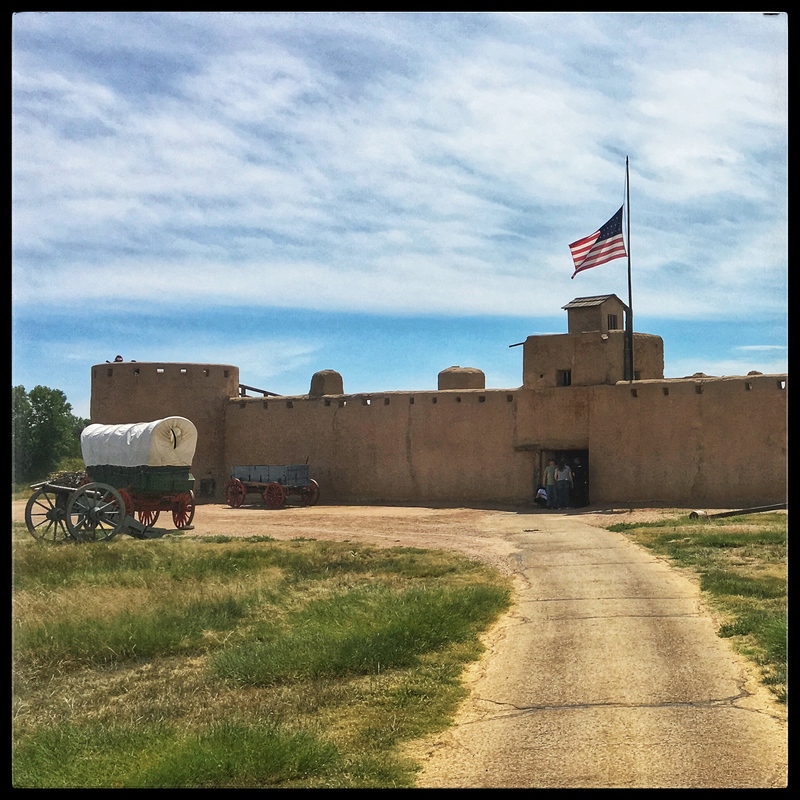 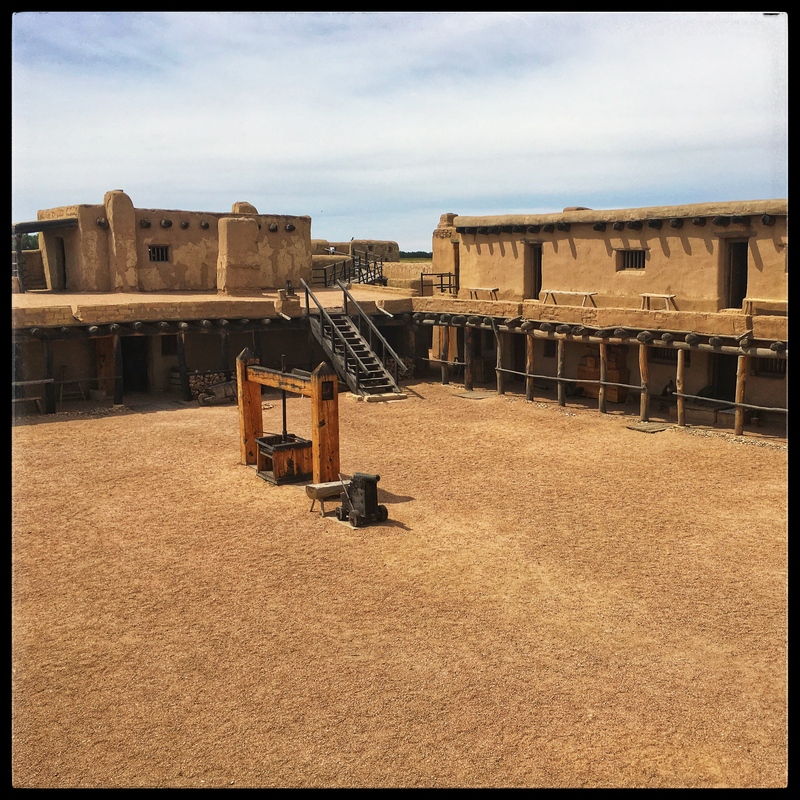 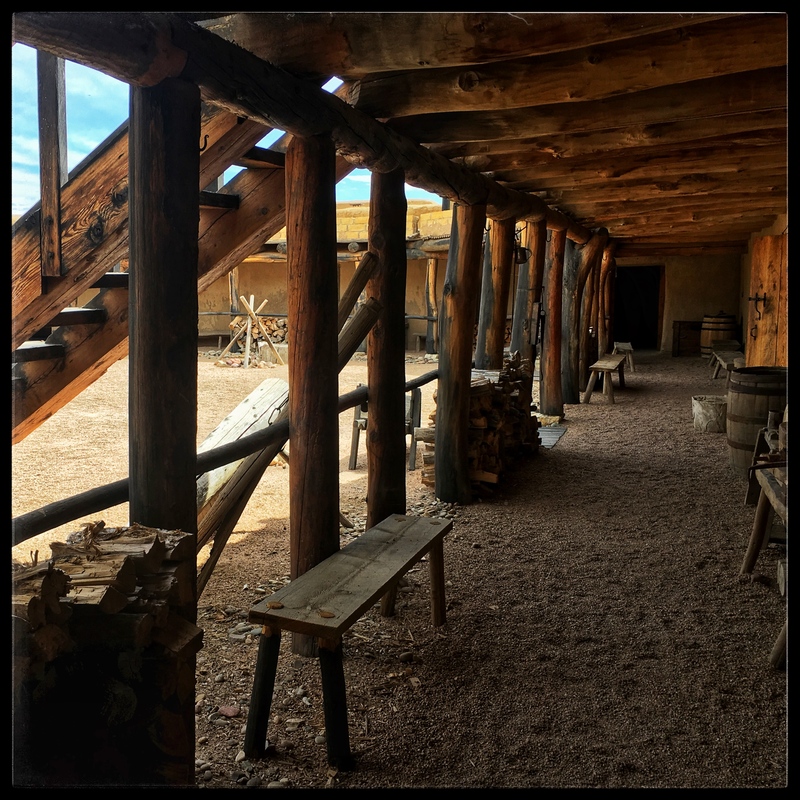 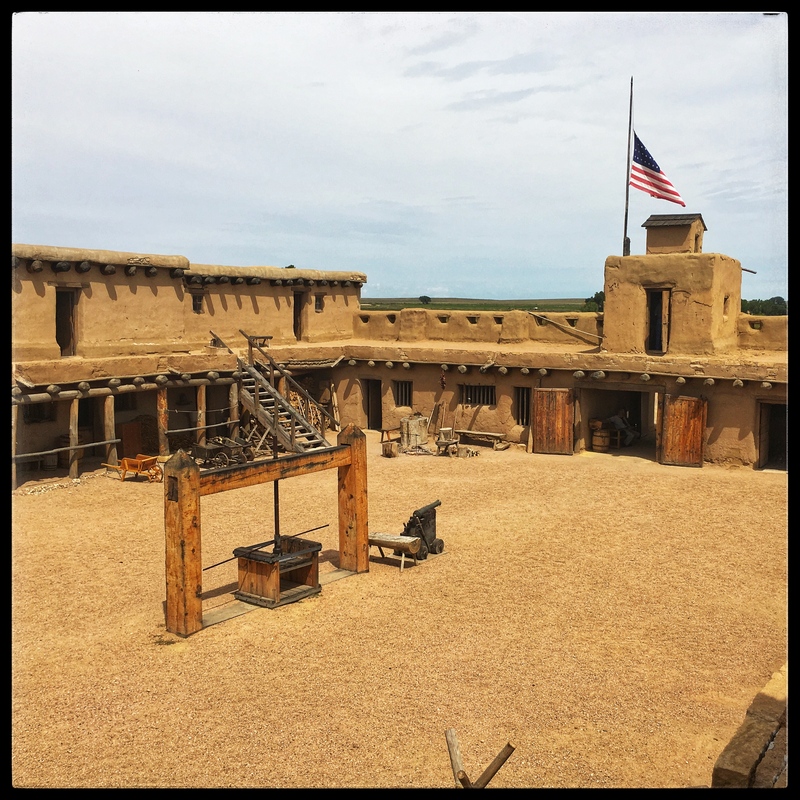 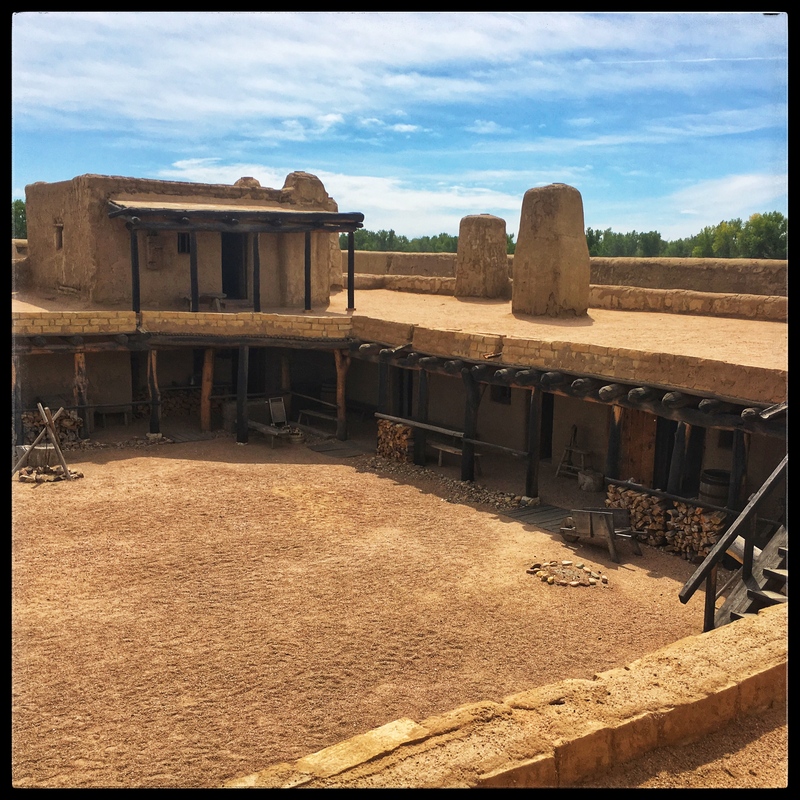 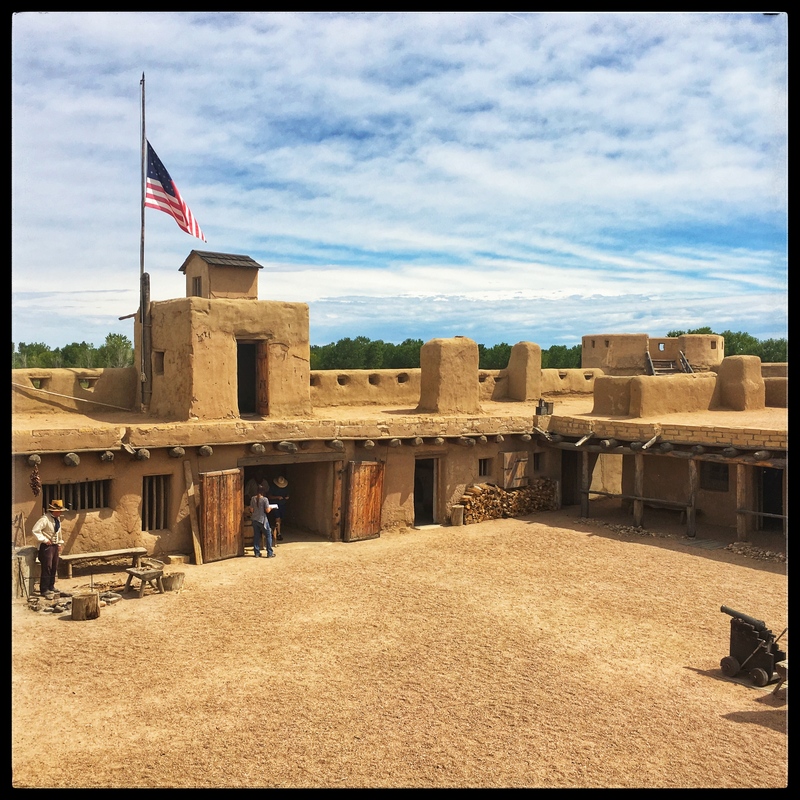 We toured Bent’s Old Fort National Historic Site, a reconstruction of a trading fort on the Santa Fe Trail in the early 1800’s. 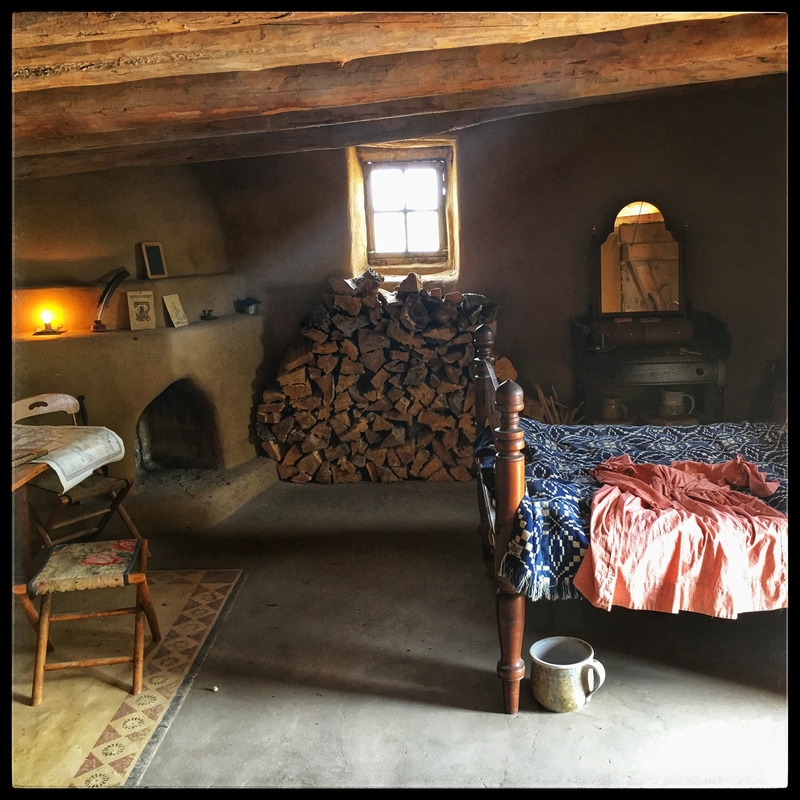 I’d been there before, in 2012, but Sally hadn’t. 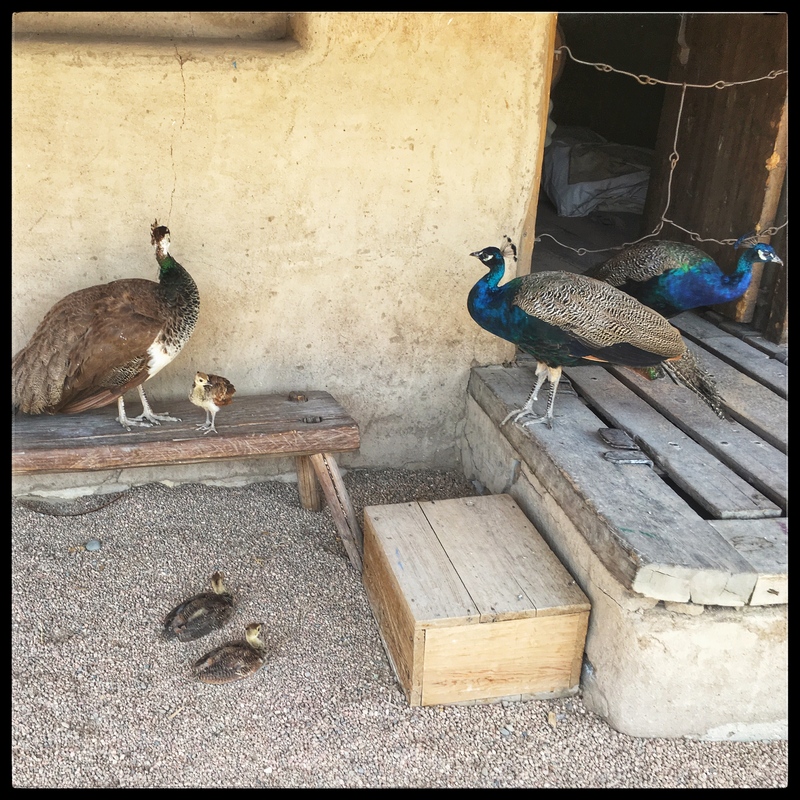 We wandered slowly and saw what there was to see. 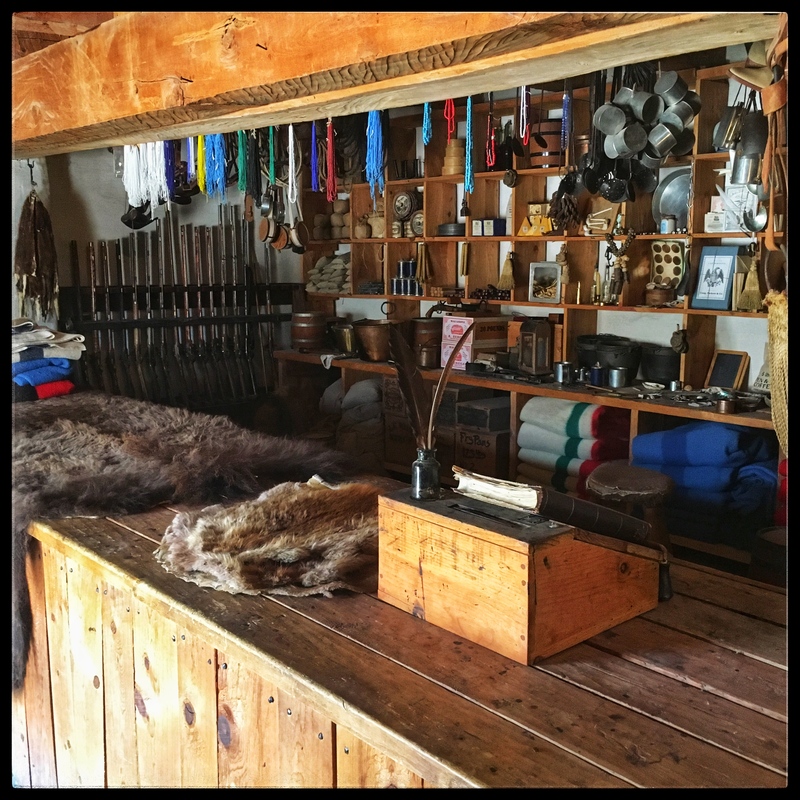 Nothing much had changed from my last visit. 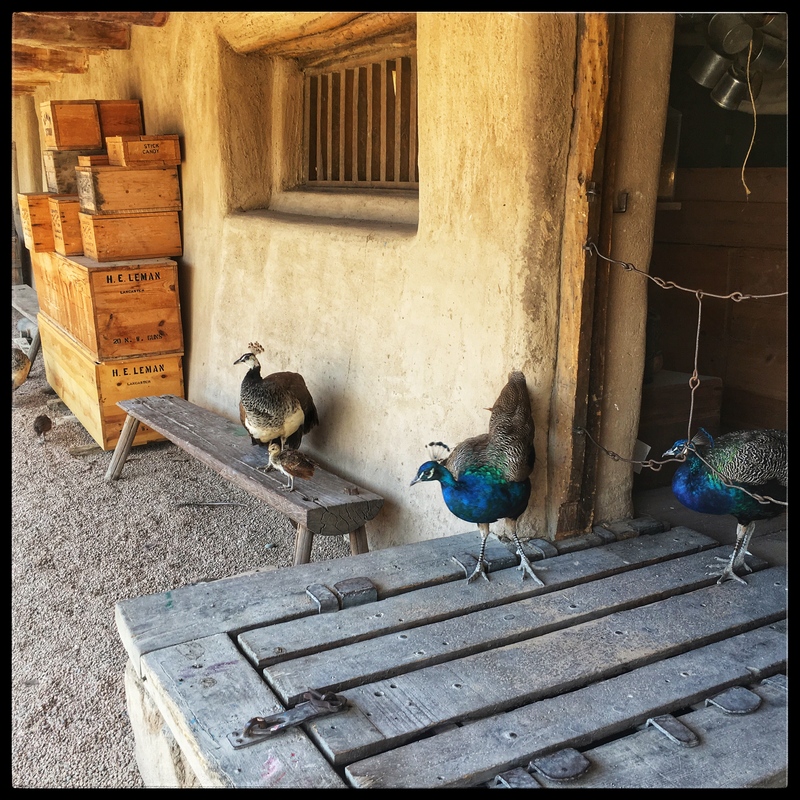 Peafowl were kept at the fort as an alarm system. 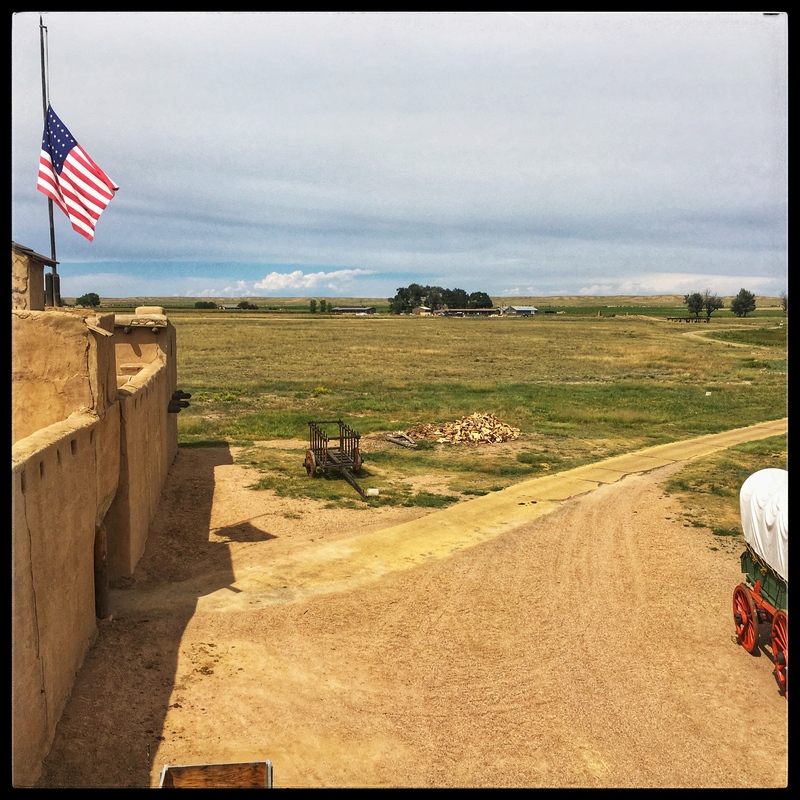 They’d spot approaching riders from a distance and begin howling. 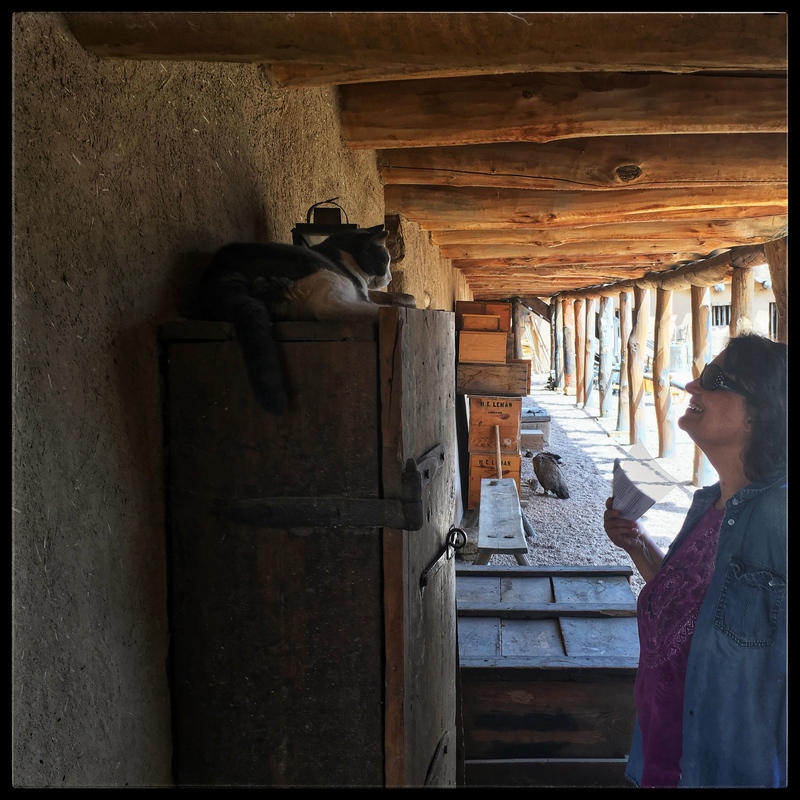 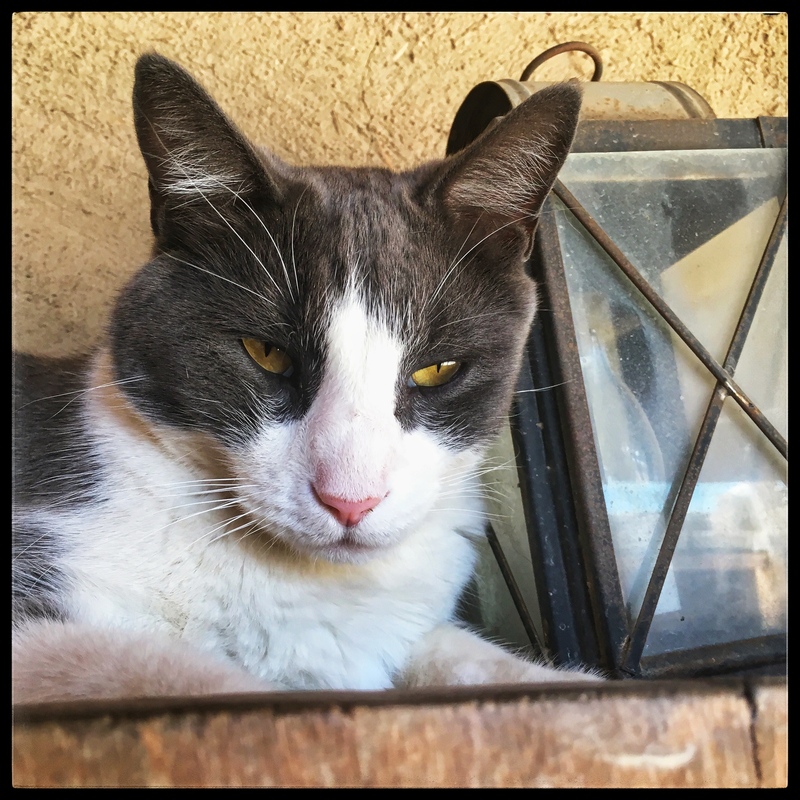 Sally tried to befriend a surly cat. 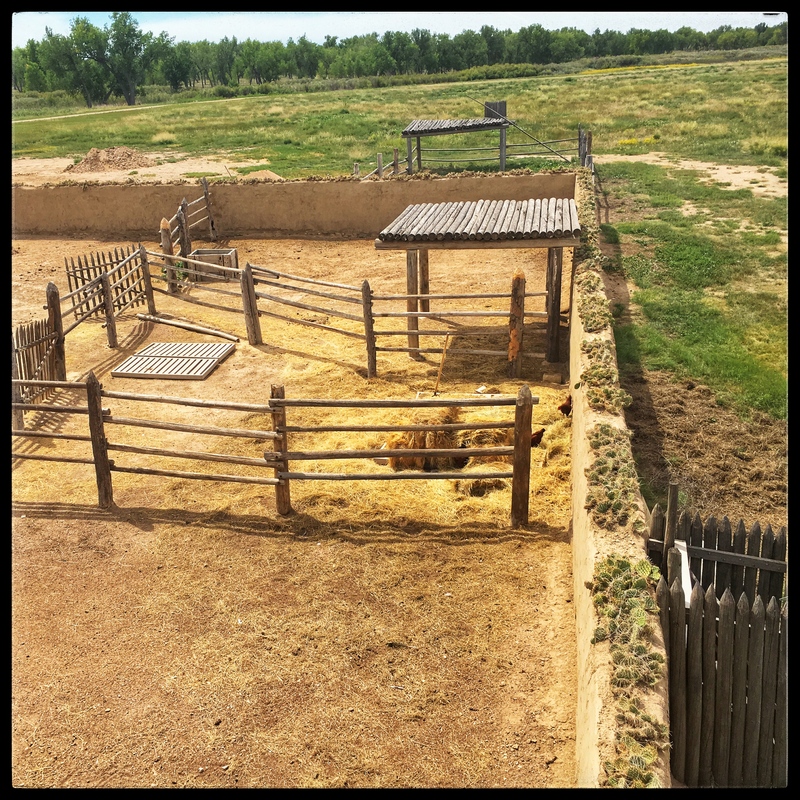 Note the cactus on top of the corral wall to prevent rustlers. 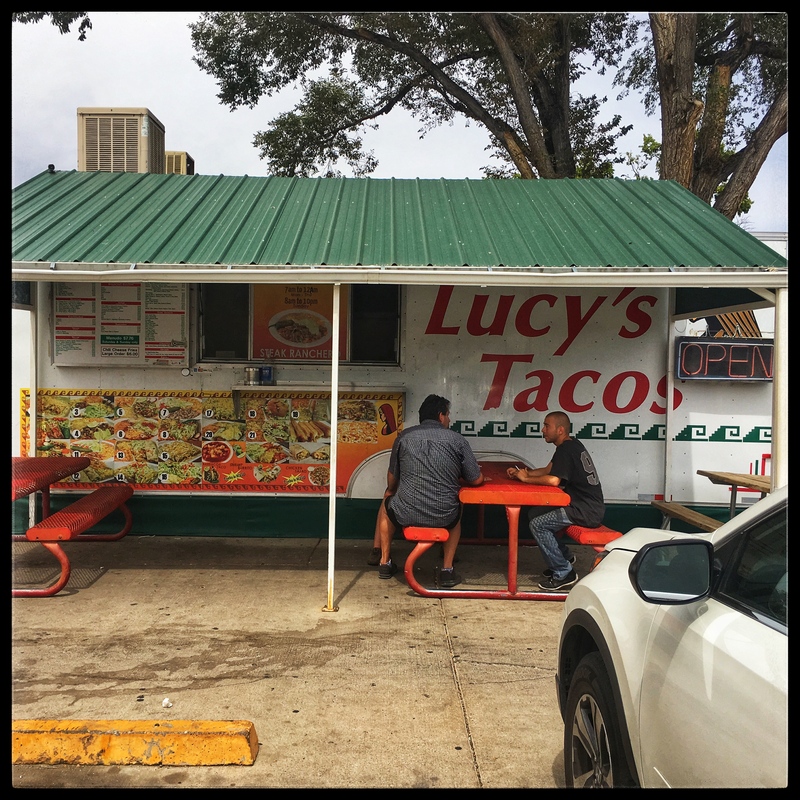 After touring the fort we ate lunch at Lucy’s Tacos in La Junta. 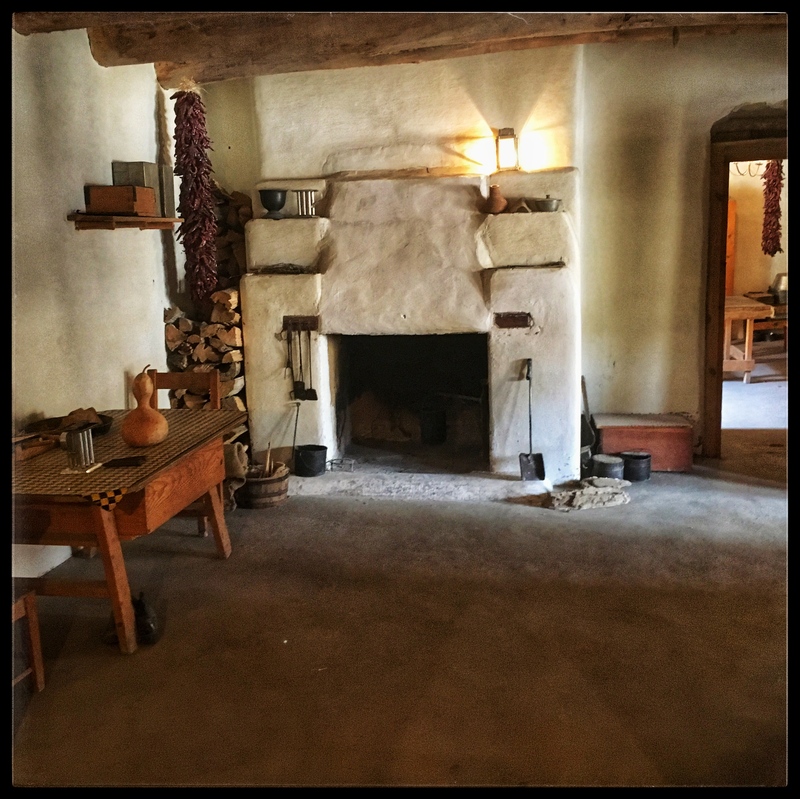 The place isn’t fancy, but the food is delicious. 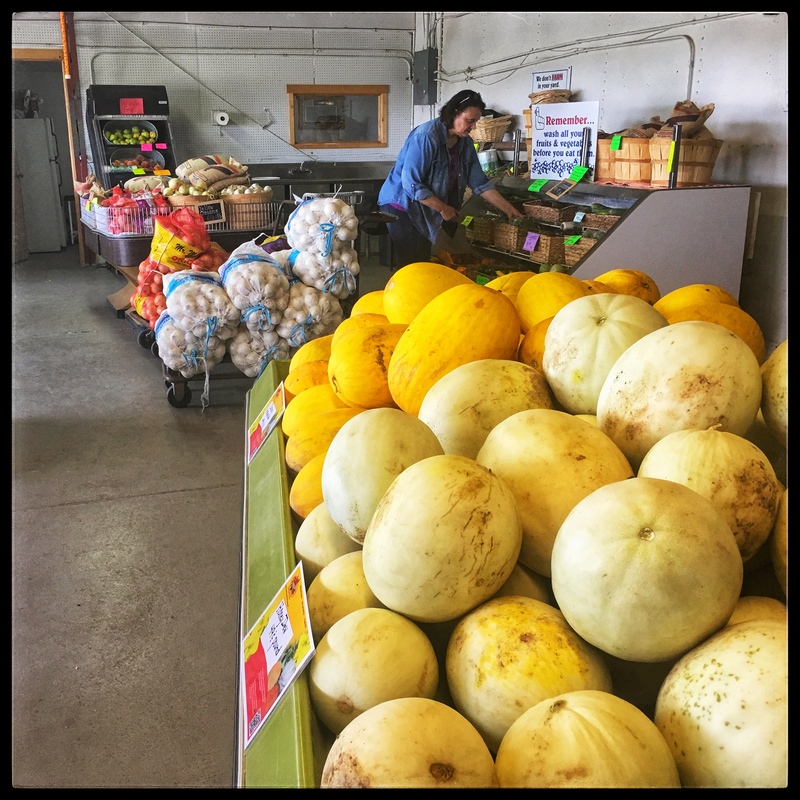 We also stopped at a couple farm markets between La Junta and Rocky Ford to buy melons, corn, tomatoes, and cider.